This product is a shiny dark gray powder, density 4.8, melting point 1185 °C, 450 °C sublimation, Mohs hardness of 1 to 1.5. Under normal circumstances, the friction coefficient of 0.03 ~ 0.05 and very good chemical stability and thermal stability. Dissolved in aqua regia and concentrated sulfuric acid, insoluble in water and dilute acid; No general chemical reaction with metal surface; Not erode the rubber material; Can be used for processing and storage of spare parts; Maintenance lubrication adhesion; can form a highly efficient dry lubricating film; Is less wear and friction reduction technology..
Molybdenum Disulfide Nanopowder as a solid lubricant, one reason is of its layered structure, between layers of sulfur atoms combined with weak easy-to-slide and showed good friction-reducing effect; the second reason, exposure sulfur atoms of the crystal surface on the metal surface have a very strong adhesion to form a very solid film, therefore lubrication is superior to other general-lubricating materials. As compared with ordinary molybdenum disulfide, Nano molybdenum disulfide has many excellent properties, such as : excellent friction, large active surface area, more adsorption capacity, high reactivity, catalytic properties, especially the performance of catalytic hydrogenation desulfurization more, can be used to prepare special materials, catalytic materials and gas storage. In nano-layers of molybdenum disulfide into the other groups after the formation of intercalated nano-composite materials have many excellent physical properties (such as light, electricity, magnetism, catalysis, lubrication and other functions). With MoS2 particle size becomes smaller, it is attached to the surface of the friction material and the coverage has increased significantly, anti-wear friction properties has also been significantly improved. 1 in lubricant applications: not only can improve the oil's largest non-card bite load, but also can reduce wear and improve the friction properties, the mechanism for the nano than the average molybdenum disulfide Molybdenum disulfide is more prone to friction and chemical reaction the formation of sulfur and molybdenum-rich lubricating film, the sky antiwear, molybdenum disulfide to reduce friction and wear mechanism completely different from the grease, high vacuum can continue to maintain its excellent resistance to friction and wear properties, its main application in difficult to maintain equipment, such as: space vehicles, satellites and military fields. 2 in the composite application: PS/MoS2 nanocomposites, will have a certain conductivity of MoS2 as a conductive filler to improve the polystyrene (PS) of the electrical properties, it has a certain capacity but will not change the anti-static the insulation. 3 relative to the general molybdenum disulfide, nano molybdenum disulfide can significantly increase the number of surface atoms, the formation of more sulfur vacancy, to higher catalytic activity and selectivity can be used as heavy oil conversion, oil refining hydrogenation catalyst of high activity, nano-MoS2 in the process of methanation of carbon monoxide as a catalyst with high selectivity and reactivity. 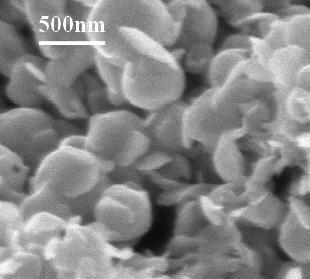 Molybdenum Disulfide Nanopowder is a catalyst for coal liquefaction. 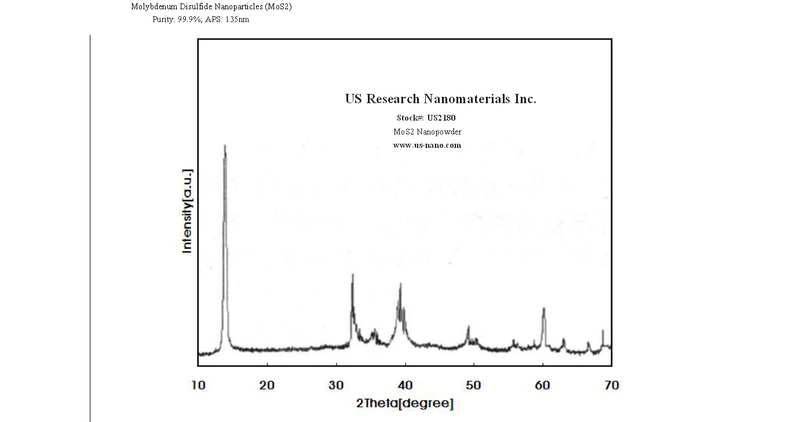 How to Disperse Nanoparticles / Nanopowders?